They're after braaaaains! 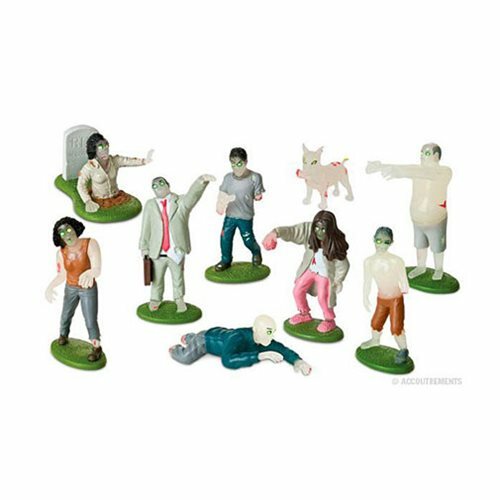 This uproarious set of nine 1 to 3 1/4-inch tall hard-vinyl figures comes complete with blank stares, gaping mouths, open wounds, and missing limbs. There's an entire mob of decomposing people from around the neighborhood, plus a zombie dog. Turn off the lights and they glow in the dark! Each amusing character is poised to terrorize your toys and friends.So whatever you do, don't let them out of their packaging. Undying fun for the whole family! Ages 5 and up.